Astranaut Shane Kimbrough was the lone American astronaut in outer space has cast his vote from the International Space Station. 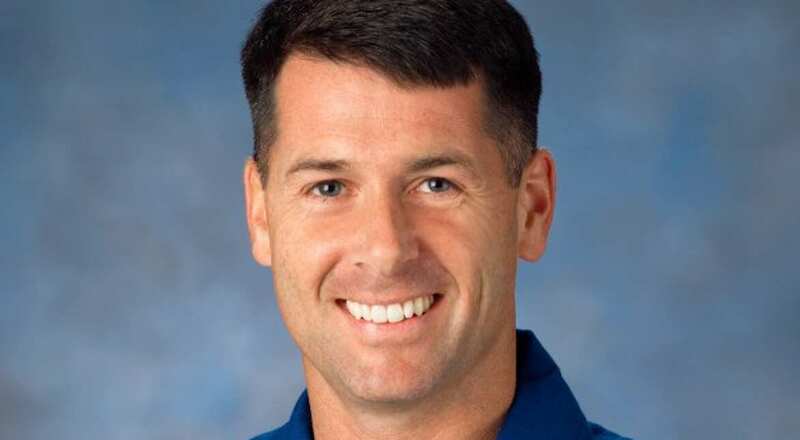 Astronaut Shane Kimbrough was the lone American astronaut in outer space has cast his vote from the International Space Station. His electronic ballot was emailed to him. Election workers verify mail-in ballots in San Diego. 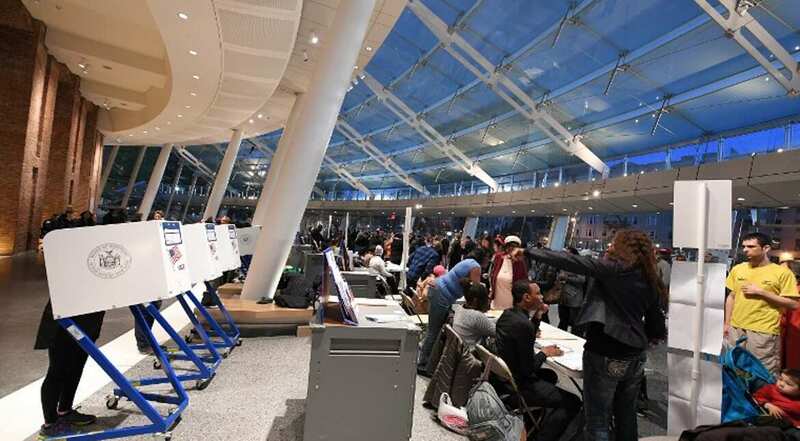 People vote at the Brooklyn Museum polling station in New York. People vote at the Brooklyn Museum polling station in New York, one of the early states to go to polls. "I hope to do the best I can", Hillary Clinton said after casting her vote in New York's Chappaqua. 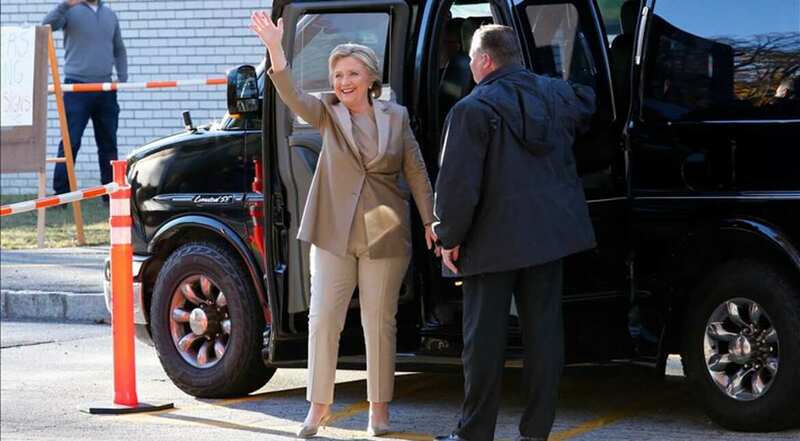 "I hope to do the best I can", Hillary said after casting her vote. 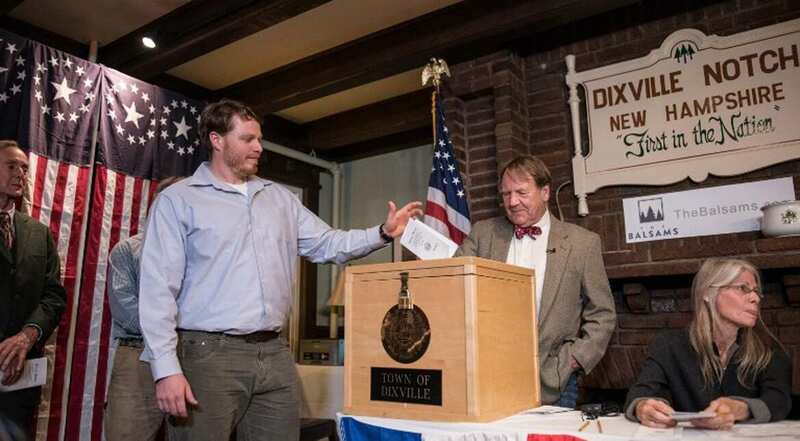 The elections kicked off with people casting their votes in a tiny village in New Hampshire. The elections kicked off with people casting their votes in a tiny village in New Hampshire at the stroke of midnight. In pic: A man casts his vote in the state's Dixville Notch which has symbolically had the honour of launching voting since 1960. A beaming Hillary and Bill Clinton greet supporters after casting their vote. 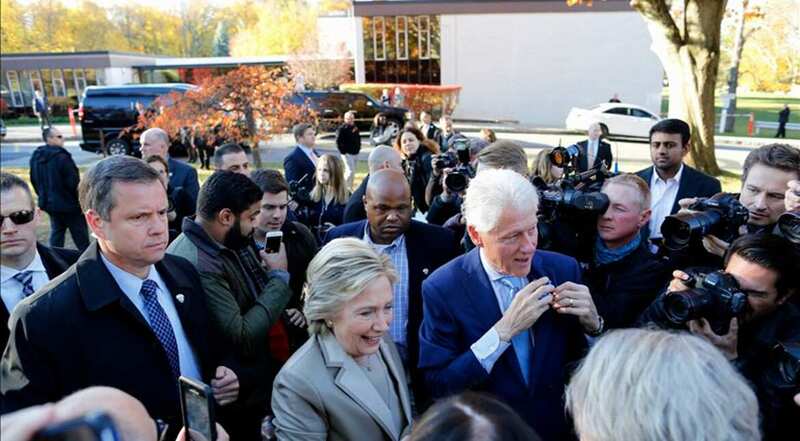 A beaming Hillary and Bill Clinton greeted supporters after casting their vote. 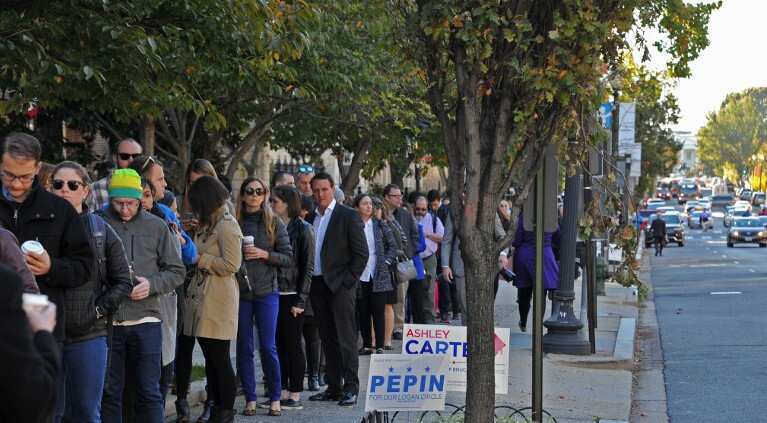 Hundreds queued up at a polling station near the White House in Washington, DC. Voters stand in line in the US presidential election in Peachtree Corners, Georgia. Polls gave Democrat Hillary Clinton a lead over Republican Donald Trump. 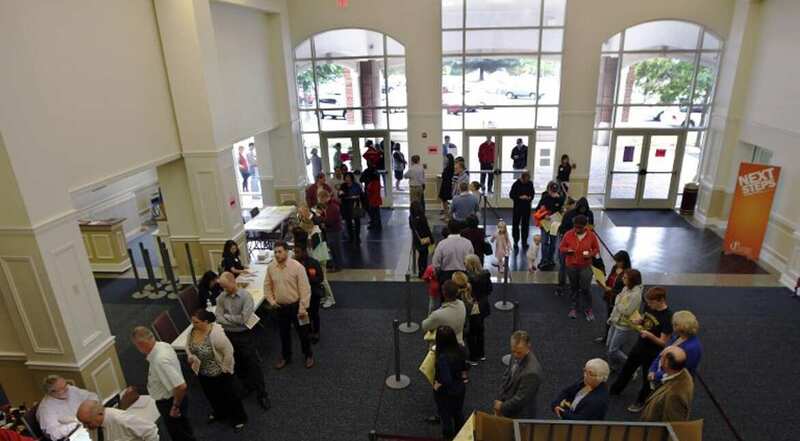 In pic: Voters stand in line in the US presidential election in Peachtree Corners, Georgia. 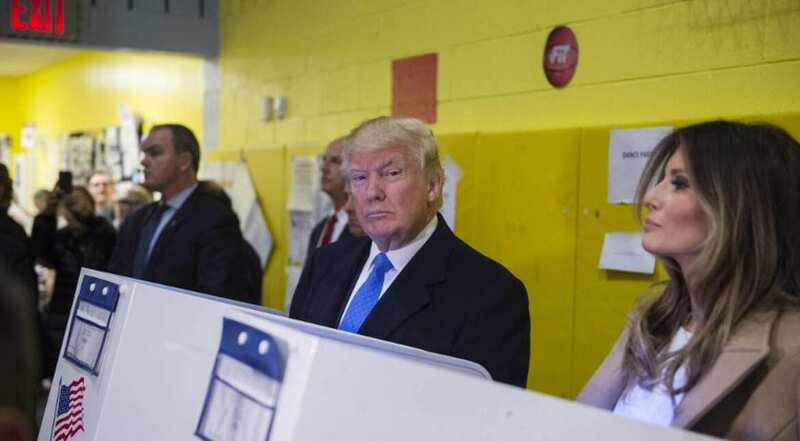 Donald Trump and his wife Melania cast their votes in New York.